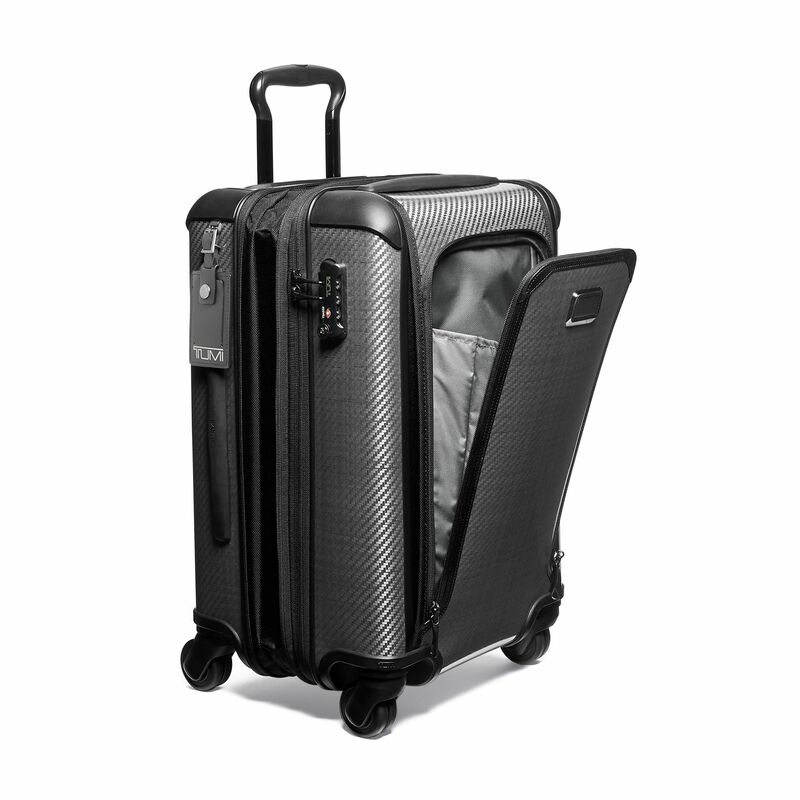 Expandable, accessible and effortless: this Tegra-Lite® Max case is the most durable and fully functional hardside case made today. 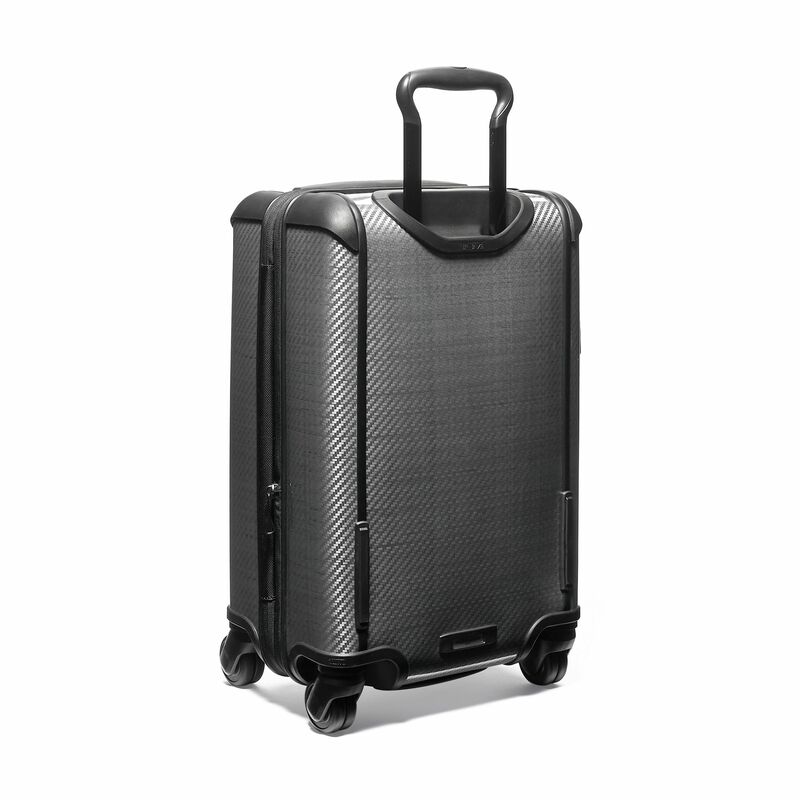 It is expandable and features a spacious, accessible front pocket, plus it moves effortlessly in every direction on our double turning wheels. Tegra-Lite® is constructed from Tegris®, a revolutionary polypropylene thermoplastic composite material created by Milliken® for use in lifesaving armor, Nascar race cars and protective gear for NFL players. 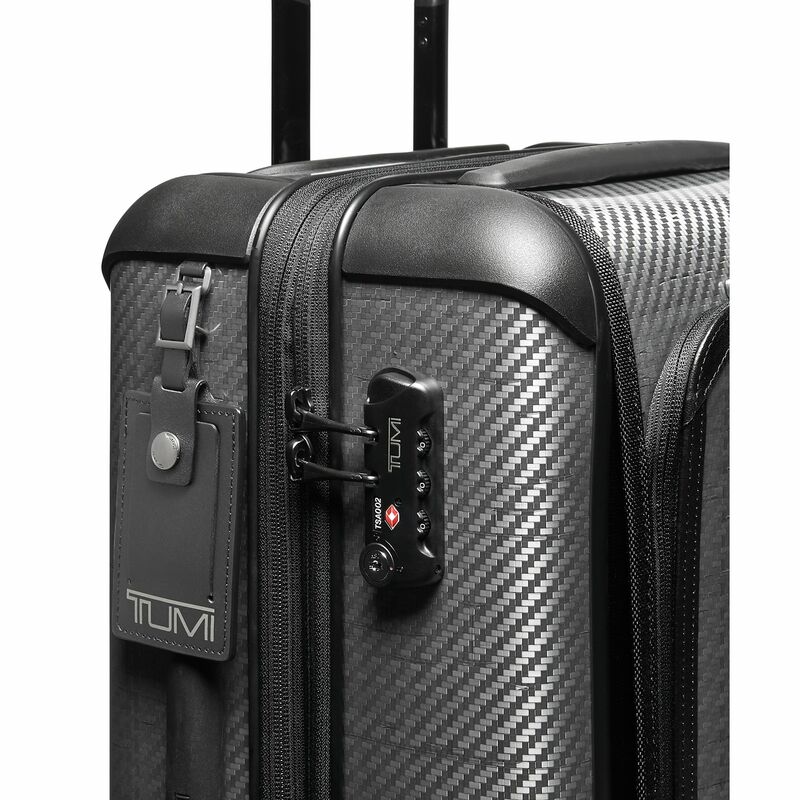 TUMI has received the worldwide, exclusive rights to use the Tegris material within the travel industry. 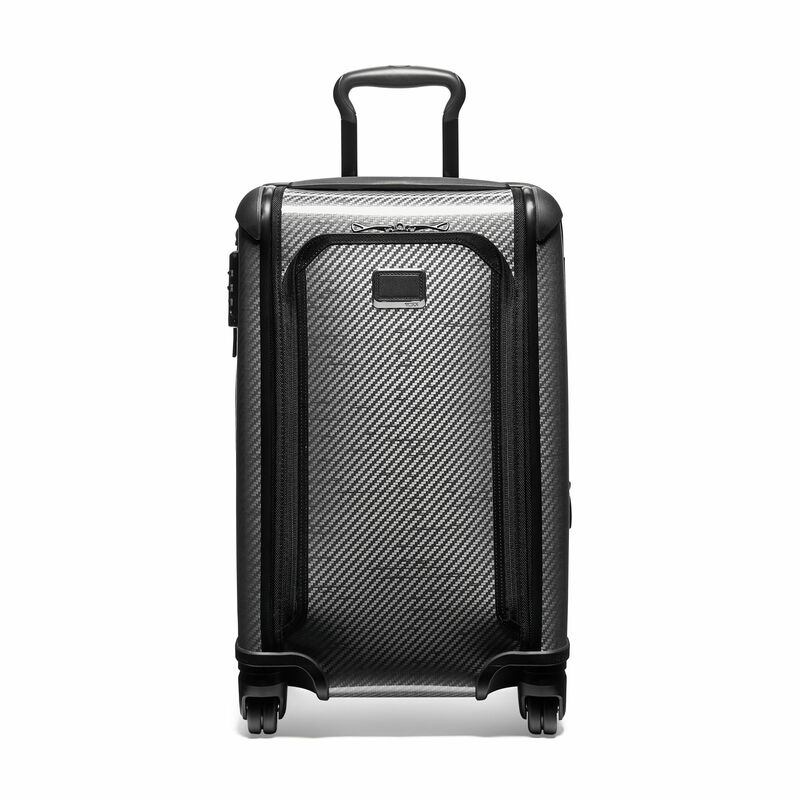 This compact wheeled carry-on design is for those who travel domestically and internationally. 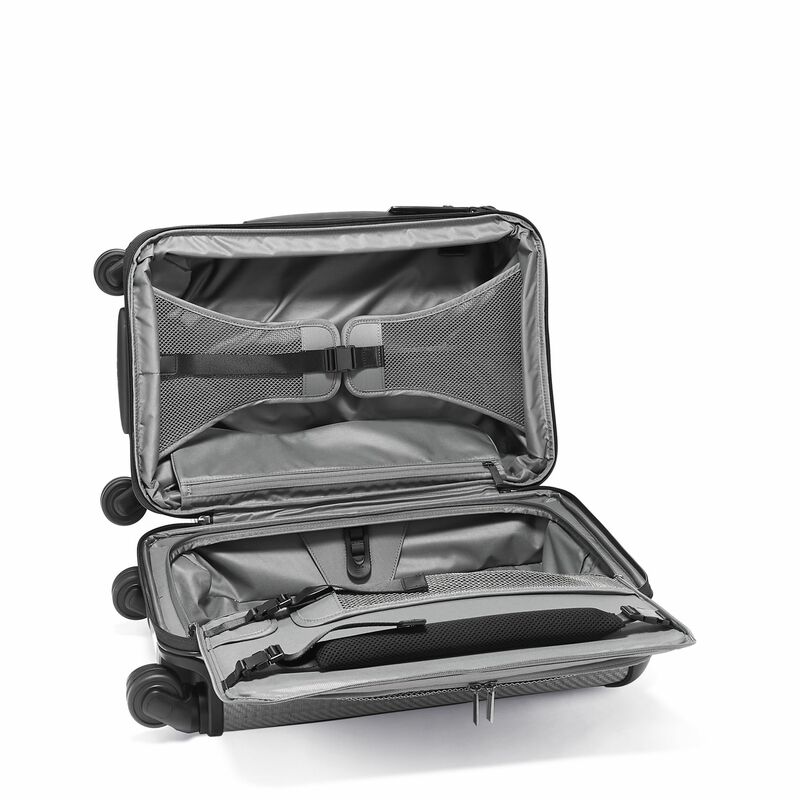 It expands 2" for extra capacity when you need it and has two packing compartments. 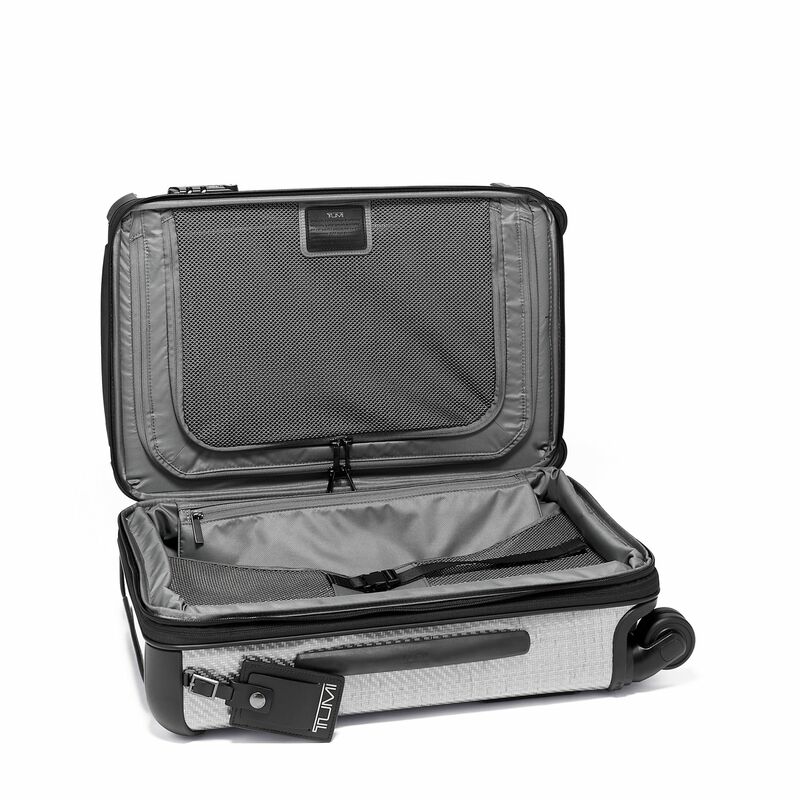 There is a hanger bracket for suits and longer garments. Interior pockets for accessories.